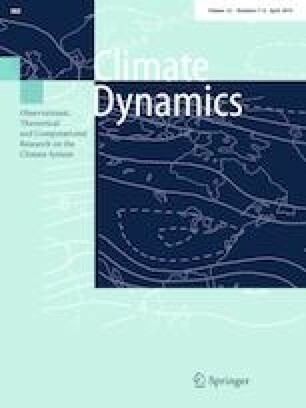 We improve seasonal hindcast skill of European summer climate in an ensemble based coupled seasonal prediction system by selecting individual ensemble members based on their respective consistent chain of processes that describe a physical mechanism. This mechanism is associated with the second mode of seasonal climate variability in the North-Atlantic-European sector and is contrary to the summer North Atlantic Oscillation. We initially analyse the mechanism in the ERA-Interim reanalysis and then test the influence of the mechanism on European hindcast skill in an initialised coupled seasonal climate model. We show that the mechanism originates in the tropical North Atlantic in spring, where either warm or cold sea surface temperature anomalies (SSTs) are connected with the European climate by an upper-level wave-train. This wave-train is accompanied by a zonal pressure gradient, that in turn influences the climate over central Europe in the following summer. We analyse the seasonal summer hindcast skill in a mixed resolution hindcast ensemble simulation generated by MPI-ESM, with 30 members starting every year in May. While the mean over the full ensemble shows no seasonal hindcast skill in summer, we achieve significant hindcast skill through forming a new mean over subselected ensemble members. For this selection, we test every ensemble member for the proposed consistent chain of connections between the wave-train, the zonal pressure gradient and their impact on European summer temperatures, and find that the processes that describe the mechanism are not represented in every ensemble member. Due to its influence on European summer climate, we use the condition of the persistent spring SSTs to anticipate the phase of the mechanism in each considered year. We thus use statistical relations to select ensemble members generated by a dynamical prediction system. With this approach, we significantly enhance the seasonal hindcast skill and the reliability of the hindcasts in the North-Atlantic-European sector, especially in the areas where the mechanism is showing a prominent signal. Since we only use knowledge that would be available in a real forecast set-up, this approach can potentially be applied in operational ensemble prediction systems. The authors would like to thank the two anonymous reviewers for their helpful remarks. Many thanks go also to the Climate Modelling group at the University Hamburg for the discussions and their feedback on the findings of this paper. This work was funded by the German Federal Ministry for Education and Research (BMBF) through the second Regional Atlantic Circulation and Global Change Project (RACE II; NCN, JB) and through the MiKlip project FLEXFORDEC (grant number 01LP1519A; WM), by the Copernicus Climate Change Service (contract number C3S 433 DWD; MD, JB). It was further funded by the Deutsche Forschungsgemeinschaft (DFG, German Research Foundation) through the University Hamburg’s Cluster of Excellence Integrated Climate System Analysis and Prediction (CliSAP; AD, JB), and under Germany’s Excellence Strategy – EXC 2037 ‘Climate, Climatic Change, and Society’ (CliCCS) – Project Number: 390683824, as contribution to the Center for Earth System Research and Sustainability (CEN) of Universität Hamburg (AD, JB). The model simulations were performed using the high-performance computer at the German Climate Computing Center (DKRZ).